Every year, a bunch of govt exam notifications are released but it becomes tougher and tougher for you to crack those exams with each passing year. Have you ever contemplated that a reason which might seem nugatory in present is the cardiac reason behind your failure in the future? If not, it is high time, it is the time of propriety and may be your last time to appear for those desirable exams! Every sincere aspirant is already aware of the importance of GA/GS Section in SSC CGL, SSC CPO, SSC CHSL, Railway and Banking Exams. But a majority of aspirants give a deaf year to this deciding factor of govt exams which in result gives you back repentance, self-doubts and unforgettable failure. Appearing for Tier-2 should be your second thought, first you need to do away all the impediments in cracking Tier-1 Exam. SSC CGL, SSC CPO And Railway Tier-1 Exam 2018 are the latest opportunities to give a try to your success and live in clover. GA is an ineluctable part of all the three govt exams mentioned above and can make or mar your chances of success even with the slightest of differences. Why Should You Prepare For GA/GS Section And What Can It Offer You Back? 1. This section is the one and only section which can get you score without asking for mind tricks and without demanding much time. And think isn’t it a smart move to get score within no time! But yeah, to make this smart move, you must have been encompassed yourself with a smart G.A/GS. Study material too. And G.A. 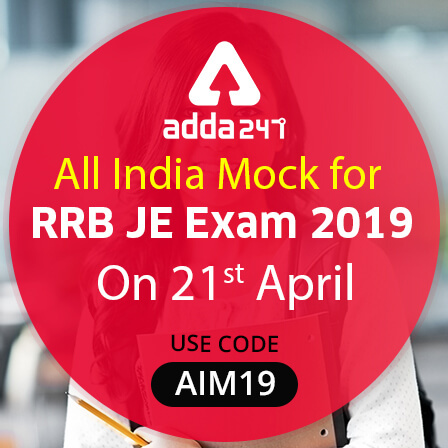 Power Capsule for SSC CGL, SSC CPO and Railway Exam by ADDA247 is that tool kit which will succour you to make that smart move undoubtedly thus making GA section a piece of cake for you. 2. Having a decent knowledge of G.A. helps you anyhow in any segment of life, career and personality development as well. If you manage to give at least one or two hours to G.A/G.S. on regular basis, it might help you tremendously in those Govt Exams. And you will be thankful to yourself instead of crying over a spilled milk like before. How G.A. Power Capsule for SSC CGL, SSC CPO & Railway Exam By ADDA247 at Free of Cost Can Be A Boon For Your Efforts? 1. G.A. Power Capsule has been developed under the meticulous guidance covering all the important topics with sufficient explanation, one liners and especially covers the questions having an assured possibility to appear in the exams. 2. Another thing to note down is to be familiar of what to study as it is practically impossible for you to read all the newspapers and magazines of months to revise current affairs and various books to study History, Polity, Geography etc. without the chance of missing anything important. Our G.A. Power Capsule is a compact solution for all your worries related to General Knowledge and General Science. Now you need not go through numerous newspapers and web pages to collect matter for SSC CGL, Railway Recruitment Exam and other upcoming exams; you can simply study with this G.A. Power Capsule by downloading the Free PDF. 3. 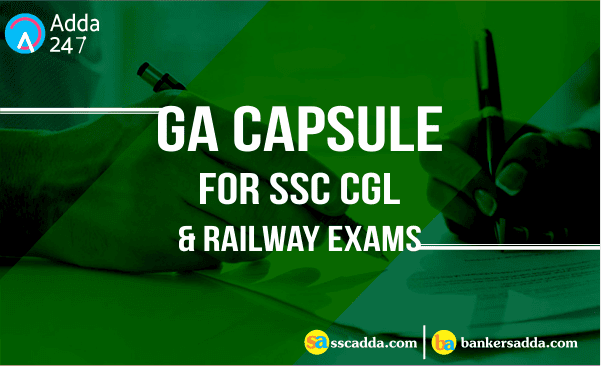 This GS capsule is also going to help you all with your CGL And Railway Examination as SSC is bringing out surprises by asking questions on General Awareness too rather than just General Knowledge. Once you download the capsule on your Adda247 app, offline study will ease everything for you. Hence, you can study even if you are in no network zone or are on the way to somewhere.